Many jazz solo artists and small ensembles have recorded Radiohead songs and frequently include them as “new standards” performance repertoire. To name but a few: Pianist Brad Mehldau ("Exit Music from a Film," "Paranoid Android," "Everything in Its Right Place," and "Knives Out"); saxophonist Chris Potter ("Morning Bell"); singer Jamie Cullum ("High and Dry"); ensemble Bad Plus (“Karma Police”); and pianist Robert Glasper (cleverly combining Herbie Hancock’s “Maiden Voyage” with Radiohead’s “Everything in Its Right Place”). It was a logical progression to expand jazz solo and small group interpretations of Radiohead tunes to the large jazz ensemble format, and the RADIOHEAD JAZZ PROJECT is the first grand scale effort to arrange multiple Radiohead compositions for the jazz big band. Jazz composers/arrangers/educators James Miley (Willamette University), Patty Darling and Fred Sturm (Lawrence University Conservatory of Music) established the RJP in the summer of 2010, selecting Radiohead song titles and establishing the international team of jazz artists to arrange the music. Sturm coordinated the writers, developed project funding, and produced the Lawrence University Jazz Ensemble studio recordings with engineer Larry Darling. 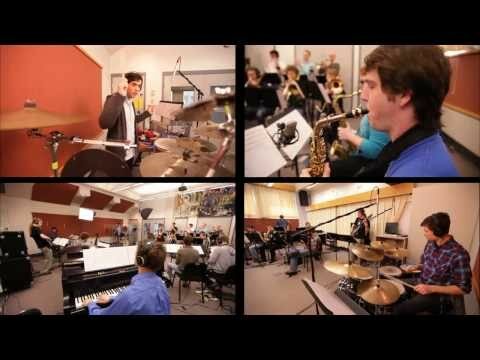 The internationally renowned HR Big Band of Frankfurt performed the Radiohead Project in 2011 in Germany, and numerous American universities and high schools have subsequently showcased the RJP repertoire in concert. The Radiohead Jazz Project was co-commissioned by the Frankfurt Radio Bigband (hr-Bigband) and the Lawrence University Conservatory of Music.